A strong A/B testing plan will allow you to increase your revenue. You will also learn valuable insights about your customers, because you will know their preferences instead of guessing what your customer may want. A/B testing produces concrete evidence of what actually works in your marketing. Continuously testing your hypotheses will not only yield good results for conversion rates, but will also give you a better understanding of your customers. Having a clear idea of what your customers actually like and prefer can do wonders for your branding and marketing in other channels as well. In its core, A/B testing belongs to a category of scientific optimization techniques, where statistics is used to increase the odds that your site visitors will see the best-performing version. A/B Split Testing – Simple testing of a page’s one element against another to see which element results in better performance. 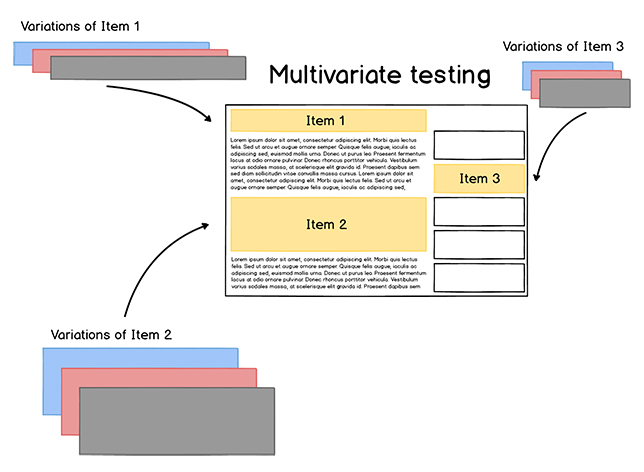 Multivariate Testing – Testing several elements at a time. The goal is to get an idea of which elements work together on a page and play the biggest role in achieving the objective. Experimental Design – Developing your own research method for an in-depth analysis of a specific element. This post is about the A/B testing process. A good A/B testing plan produces the fastest gains and has a lower chance of error through misuse. A/B testing is a part of a wider, holistic conversion optimization process and should always be viewed as such. Doing A/B testing without thinking about your online goals and user behavior in general will lead to ineffective testing. When correctly planned, you can achieve good, measurable results in a short timeframe. A structured process to improve your conversion rates needs to be a continuous process of improvement. It is a cycle of Measurement, Prioritization, and Testing (then repeat). Each stage has a goal and a purpose, leading to the next stage. For your plan to be successful, follow this four-step A/B testing template. Step 1: Measure your website’s performance. To continually improve your conversion rates, start by properly measuring your website’s performance. We want to know what is happening and why it’s happening. This is the answer to the question: “Why does your website exist?” Make your objectives DUMB—Doable, Understandable, Manageable, Beneficial. Companies often fail in web analytics because their objectives are not simple to understand or measure. Reduce z. Reduce our shopping cart abandonment rate. Goals are your priorities, expressed as simply as possible. Before you start working on your data, make sure you have them defined and properly set up in Google Analytics. A metric becomes a KPI only when it is measuring something connected to your objectives. Example: Our flower store’s business objective is to sell bouquets. Our KPI could be the number of bouquets sold online. This is the reason why you need to have your business objectives clearly defined—without them, you will be unable to identify your KPIs. If you have proper KPIs and look at them periodically, you will keep your strategy on track. Our flower store sold 57 bouquets last month. Is that good? Or devastatingly bad? For your KPIs to mean something to you, they need target metrics. Define a target for every KPI that is important to you. For our imaginary flower store, we can define a monthly target of 175 bouquets sold. Now you have a framework that will ensure that the work you will do is relevant to your business goals. Getting real feedback from your visitors is invaluable. Use surveys to discover your visitors’ objectives. Set up entry surveys to find out why they are visiting your site and exit surveys to find out if their goals were fulfilled. You can find what is happening on your site by using Google Analytics—which features they use, where they exit, and who is profitable. But Analytics doesn’t tell you the why behind this. This is where qualitative data comes in. Qualitative data is perfect for finding out why problems occur. The best way to get qualitative data from your visitors is through surveys. Your goal is to find out why visitors buy or why they leave without purchasing. 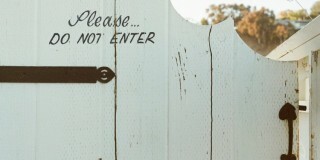 Add an exit survey on your site, asking why your visitors didn’t complete the goal of the site. Add an exit survey on your thank-you pages for finding out why your visitors converted. Perform usability testing with members of your target group. Send out feedback surveys to your clients to find out more about them and their motives. If a large amount of people click on your ebook ad, but only a few people actually buy after seeing the price, you will want to dig deeper into the problem. In this example, you could put up a survey, asking people if they have any questions that the page doesn’t answer. You can also survey people who have already bought your book to see what made them buy. You will start noticing trends after you’ve collected 50+ responses. Often, we find that the site hasn’t addressed an important objection of your client. The main takeaway is that qualitative data will help you understand which elements will have the highest impact when running an A/B test. Think about how you could spot emerging trends with your customer feedback. When something pops up, you can dive deeper to find out exactly what is going on. The problem with using site averages in your testing is that you are missing out on what is going on inside the average (the segments). An experiment that seemed to be performing poorly might have actually been successful for a certain segment. For example, our experiment may have shown that a variation of our mobile landing page is not performing well. When looking into the segments though, we may see that it is performing exceptionally well for Android users but badly for iPhone users. When not looking at segments, you can miss this detail. To understand segments, we need to understand dimensions. A dimension is any attribute of a visitor to your website. A dimension can be a source where they came from (a country, URL, etc. ), technical information like the browser they are using, or their activity on the site (pages they looked at, images they opened). A segment is made up of a group of rows from one or more dimensions. By default, a lot of the data you get is useless. The number of visits to your site doesn’t really give you any actionable information. To get actionable data for testing, you need to segment the data you have, using dimensions. You can also split test for single segments of your traffic, which is a part of Behavioural targeting. Avinash Kaushik has outlined a simple strategy for segmenting your traffic. Best ideas for taking action come from segmentation. Is there a difference between bounce rates for those segments? Is there a difference in Visitor Loyalty between those who came from YouTube versus those who came from Twitter? What products do people who come from YouTube care about more than people who come from Google? Segment by behavior. Different groups of people behave differently on a website because they have different needs or goals. For example, on an ecommerce store, you can separate out people who visit more than 10 times a month versus those that visit only twice. Do these people look for products in different price ranges? Are they from different regions? Segment by outcome. Separate people out by the products they purchase, by order size, by people who have signed up, etc. Focus on groups of people who have delivered similar outcomes and ask questions like the ones above. When you have found your most profitable segments, you can keep them in mind when building out your split-testing plan. It’s good to know who your most profitable visitors are before you start split testing. Once you have your metrics in place and know your goals, the next step is to prioritize what to test. Essentially, you could test anything, but everyone needs a place to start from. Google Analytics will give you a lot of data, but it makes sense to start by split testing opportunities that promise the biggest gains. Prioritize tests based on data—it will be your most valuable resource for prioritizing your tests. Your homepage may not be the most important area of your site. Look at your “top landing pages” report from Google Analytics. You will likely see many different pages with entrances, some even more than your homepage. Look at data on a page template level.When you add together the traffic from all of your pages that use the same template, you may see that they get a lot more traffic than your homepage. Do this when you need to determine opportunities for testing site-wide template layouts. Look for pages that are not performing well. Your Analytics data can show some clearly problematic pages, like landing pages with high bounce rates, but some other areas may not be so obvious. If your problem is a high shopping-cart abandonment rate in the checkout process, Google Analytics will not be able to tell you that your visitors are finding it difficult to find shipping information from other pages, so they will go to the checkout process just to see that information. If you only work on optimizing only your shopping cart views, you may not be able to fix the problem. You also need to look at your product and category pages. No single information source will perfectly identify split testing opportunities. You need to look at several pages together. Top exit pages. This is the last page that someone sees before leaving your site. Labeled “% Exit” in Google Analytics, it will show you the percentage of visitors who leave your site immediately after viewing the page. Top exit-rate pages can identify problem areas. Persuasive end (top of the funnel). The persuasive end includes the most-viewed areas of you site like your homepage, category pages, product pages. These are the areas of your site where you are getting the visitor interested in your product or service. Transactional end (bottom of the funnel). The bottom end of your funnel is where conversion happens—visitors buy the product, sign up, or contact you. Most of the data we have looked at so far has been focused on the persuasive end of the funnel, but we also need to look at the bottom of the funnel. A funnel in Google Analytics focuses on the bottom end of the funnel. If you have your funnels correctly set up, you can gain valuable split testing information from it. Look for sudden drop-off rates in the funnel. For example, if only 18% of the traffic proceeds from Step 2 to Step 3 in the checkout area, you have a problem in Step 2. What information were they looking for? Is anything stopping them from taking action on the page? What were they expecting to see on the page? Where are the visitors coming from? Are they not motivated enough to proceed? Answers to these questions should give you ideas for how to plan your split testing. Start with high-value, low-cost testing ideas. An example of this can be testing variations in a checkout process step that is showing significant abandoment rates compared to previous steps. 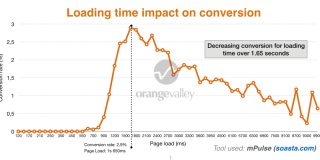 Pages that have the highest volume are the most important ones for testing. You have probably identified many pages that perform worse than you would like them to, but if they don’t have a high volume of expensive traffic, you should not count them as priorities. You need pages with high traffic for completing your experiments within a reasonable timeframe. Pages with more than 30,000 monthly, unique visitors can reach statistical significance in a few weeks. With a lower level of traffic, you need to run tests over a longer period of time. Because tests on high-traffic pages finish sooner, you can move on to the next tests faster, which will speed up your optimization process. Most-visited pages. Look for information on unique visitors. When looking at the number of overall pageviews, your conversion data will get skewed. Top landing (entry) pages. When looking at the most-visited pages, you will see the most popular pages on your site. You also need to look at the most-visited pages that people see when they first arrive on your site. Pages with expensive visits. When choosing between two pages with similar traffic and conversion rates, pick the one with a higher cost of traffic for a better split-testing ROI. Grab your own copy of this spreadsheet template here. Just click File > Make a Copy to have your own customizable spreadsheet. Is the change above the fold? Changes above the fold are noticed by more people, thus increasing the likelihood of the test having an impact. Is the change noticeable in under 5 seconds? Show a group of people the control and then a variation(s). Can they tell the difference after seeing it for 5 seconds? If not, it’s likely to have less impact. Does it add or remove anything? Bigger changes like removing distractions or adding key information tend to have more impact. Does the test run on high-traffic pages? Relative improvement on a high-traffic page results in more absolute dollars. Many of the variables specifically require you to bring data to the table to prioritize your hypotheses. Is it addressing an issue discovered via user testing? Is it addressing an issue discovered via qualitative feedback (surveys, polls, interviews)? Is the hypothesis supported by mouse tracking, heatmaps, or eye tracking? Is it addressing insights found via digital analytics? Having weekly team discussions on tests with these four questions will quickly make people stop relying on opinions. There are also bounds placed on Ease of implementation by bracketing answers according to the estimated time. Ideally you’d have a test developer be part of prioritization discussions. This is a binary scale. You have to choose one or the other. So, for most variables (unless otherwise noted), you choose either a 0 or a 1. Certain variables are also weighted because of their importance—how noticeable the change is, if something is added/removed, ease of implementation. So, on these variables, we specifically say how things change. For instance, on the “Noticeability of the Change” variable, you either mark it a 2 or a 0. The reason for the in-depth analysis techniques described above is to get a clear understanding about what is happening on your website. That process enables you to find areas where A/B testing can bring the best results and to plan accordingly. Now let’s set up your test. After you define your problem and articulate your hypothesis, you can start to come up with specific split-testing variations. Clearly defining your hypothesis will help you come up with testing variations that give meaningful results. Problem. Less than 1% of visitors sign up for our newsletter. Hypothesis. Visitors don’t see the value in signing up for our newsletter. Adding three bullet points about the benefits will increase sign-up rates. In this case, we would summarize the benefits that the newsletter member would get from joining the newsletter. Even if the original version works better in your A/B test, you learned something about your visitors. You clearly defined why you did the test and can draw conclusions based on the outcome. Is testable. 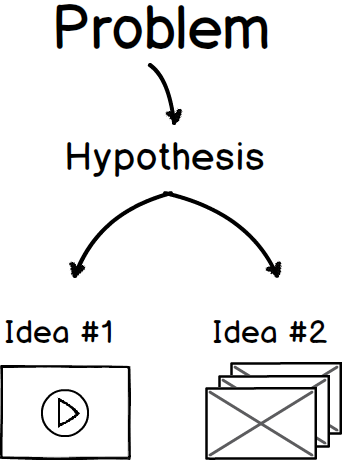 Your hypothesis is measurable, so that it can be used in testing. Has a goal of solving conversion problems. Split testing is done to solve specific conversion problems. Gains market insights. Besides increasing your conversion rates, split testing will give you information about your clients. Ignoring statistical significance while running an A/B test is worse than not running a test at all. The results will give you confidence that you know what works for your site when, in reality, you don’t know more than before running the test. If we were to toss a coin 1,000 times, we would reduce the influence of chance but still get slightly different results with each trial. The statistical significance of your experiment should be over 95%. But statistical significance alone is not a guarantee. It is a measure of confidence. Read more about this here, here, or here. At the end of the day, revenue is what matters. An increase in conversion rates may sometimes mean a decrease in revenue if you’re tracking the wrong indicators. Let’s imagine that you’re selling watches online and suddenly increased your prices by 25%. Your conversion rates will probably drop, but your overall revenue may increase if the demand for your product is high enough. Amount of content on the page. Short versus long. This is the one rule of marketing that surpasses all others. No matter how well your landing pages or emails may be doing, they can always be doing better. By not having a goal for constant improvement, you’re leaving money on the table and letting your competition get ahead of you. Not all split tests will be successful. 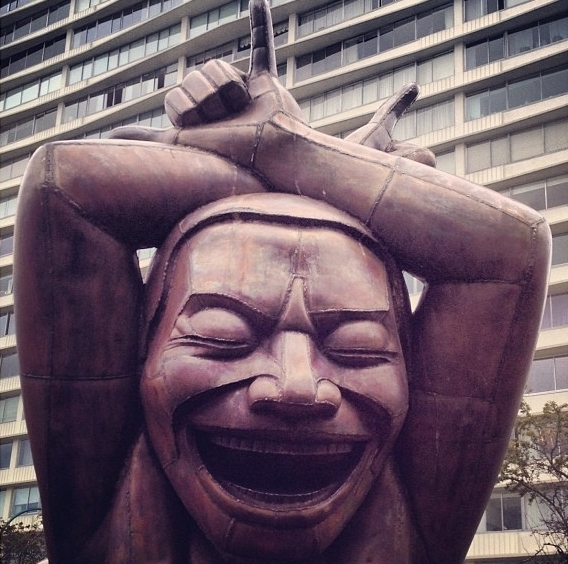 You are doing well if one in five split tests improve your conversion rates. Split-testing will simply give you a new baseline to improve upon. You will start seeing considerable website performance improvements after a number of different split tests. Considering how competitive today’s online market is, if you are not constantly tracking and optimizing, you are going to get left behind—and outsold—by people who are. Most A/B testing is done one variable at a time. You test headlines, button text, images etc. These variables are simple to test; your results will be clear; and your next steps will be obvious. By using only one isolated variable, you can be more confident in your results. There’s a downside, though. The argument against testing single variables is that if you continue to do this for a long period of time, it will be impossible for you to arrive at a much better design. 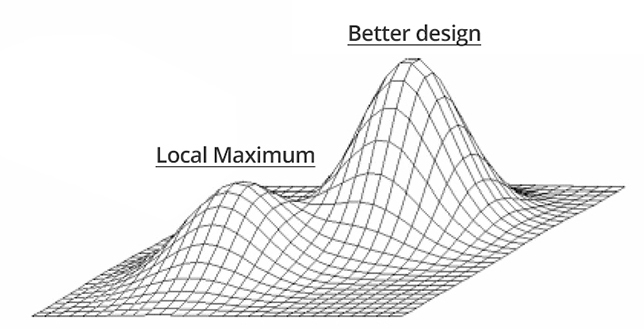 Instead, you’ll be improving your existing design in small increments and get stuck at the local maximum. You hit a glass ceiling in your design and, without a big change, you will be unable have larger gains. Don’t run your experiments longer than necessary. If your experiment has been running longer than what Google would normally expect from a split test, you may confuse the search engine about which version of the content is the “real” version. The general rule is to update your site with the winning variation as soon as you are sure of the statistical validity of the test. Google wants to prevent people from deceiving search engines. Use rel=canonical. Instead of using a noindex meta tag on your variation page, use rel=canonical. If you are testing two variations of your homepage, you don’t want search engines to deindex both. You just need search engines to understand that your variations are what they are—variations of the original URL. Using noindex in a situation like this may create problems later. Use 302 instead of 301. When you need to redirect a visitor to one of you variations, use a 302 temporary redirection instead of the permanent 301 version. You want Google to keep the original URL in its index. A/A testing is used to validate your test setup: If your variations display correctly and your software is reporting the right numbers. The biggest problem with A/A testing is that setting it up and running it takes time, which could be used instead for doing more split testing. The volume of tests you start is important, but even more so is how many you finish every month. It will be quicker for you to properly test your experiments before going live. To make sure your variations are displaying as they should in different browsers, use cross-browser testing. For checking the numbers, use your split-testing and analytics packages together on every test. If, for whatever reason, you still need to do an A/A test, consider an A/B/A test, or 25/50/25 split, instead. There is an even better way: segmentation. For more on this issue, see this great post from Craig Sullivan. Change as the amount by which one variation is larger than the other. Normally, Version 2 is used when reporting conversion rate improvements, but make sure you know this before deciding anything based on the numbers. Conversion Rate Experts have developed a systematic process for guiding a business through a series of steps toward better conversion rates. MEClabs has created a funnel that represents a series of decisions taken by the prospective customer. The idea revolves around the customer taking small decisions step by step, “micro-yeses,” which lead to the Ultimate Yes, or the sale. The idea is to prioritize conversion testing opportunities and implement the right experiments, which will drive the most impact-filled results. This will help you maximize your conversion rate improvement. ConversionXL has developed their own framework that’s used by dozens of agencies. It includes six parts of research and also has a prioritization component, solving the oh-so-common problem of what to test. 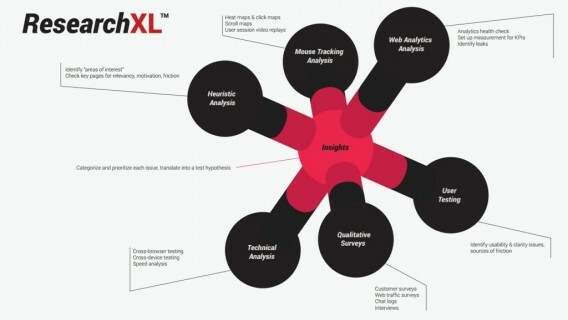 They’ve also written a conversion optimization guide that goes further into detail and explains how ResearchXL ties into a holistic optimization program. Visitors interact with their mobile devices through tapping, so their ability to quickly locate and hit these tapping areas is key to satisfying mobile conversion rates. When testing on mobile screens, make an effort to begin testing elements related to the user experience and design of the site, a.k.a. the navigational elements or mobile forms. If your site’s mobile version has enough traffic going to it, run an A/B test on it. The smaller screen forces users to focus more on what is relevant, giving you ample opportunities in the conversion area. Call-to-action buttons. On a desktop screen, the CTA button will not take more than 2% of the screen real estate. On a mobile device, you have the opportunity to make your CTA button take 25–50% of the screen real estate. You can test any standard property on your button size, copy, and visual design. Navigation. You need to change the site navigation for mobile viewers. This is a good opportunity to direct visitors to the most important page content. Think of mobile navigation as a tool for helping your visitors achieve their goal, and remove anything that can get in the way. Copywriting. Since the screen real estate of mobile devices is small, you will have a chance to focus your visitor’s full attention on your value proposition. Test the wording carefully. Forms. You can experiment with the design and number of fields, dropdowns, and error messaging. Google Analytics has a mobile section, but it includes both mobile phones and tablets. Accessing a website on a tablet is a different experience from a mobile phone, so make sure you use extra filters for cleaner data. Compare your site performance (visit duration, bounce rate, conversion rate, etc.) for mobile visitors vs. desktop visitors for insights into areas that may cause trouble for your visitors. Use a previously set advanced segment (where you have filtered out any non-mobile traffic) and apply that to your All Pages report. You will get a good overview of which pages your mobile visitors use, which may be vastly different than those viewed most often by desktop users. This information can be helpful in testing your mobile menus. You can bring out the content your mobile visitors want to see the most, creating a navigation menu different from your desktop version. For more information about Google Analytics for mobile platforms, see this thorough post by Bridget Randolph. Google Analytics has a separate tool for measuring and testing variations in your mobile applications. The main difference from testing in a browser is that, without putting in some thought, you will have a slower reiteration cycle. You need to upload every test to the app store and wait for your users to update their apps. This means you should carefully think through what you want to track and test in your application before you release it. It will be more difficult to change this after your app has been downloaded. 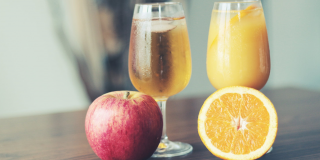 How is Multivariate Testing different? When you perform a multivariate test, you are not testing a different version of a web page like you are with an A/B test. You are performing a far more subtle test of the elements inside one web page. A/B testing usually involves fewer combinations with more extreme changes. 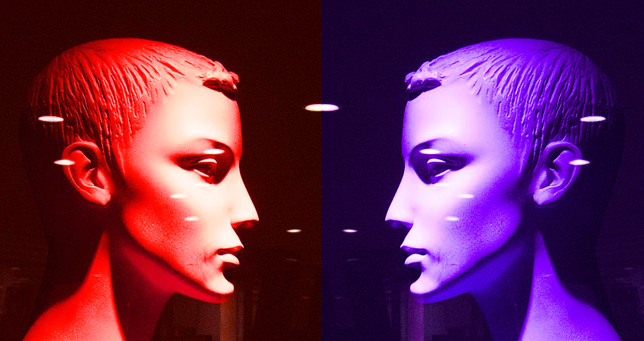 Multivariate tests have a large number of variations that usually have subtle differences. A/B testing is usually a better choice if you need meaningful results fast. Because the changes between pages are more stark, it will be easier to tell which page is more effective. A/B testing is also better if you don’t have a lot of traffic on your site. Because of the multiple variables are tested together, multivariate testing needs a site with a lot traffic. The goal of multivariate testing is to let you know which elements on your site play the biggest role in achieving your objectives. Multivariate testing is more complicated and is better suited for advanced testers. It’s more prone to reporting errors and common to have more than 50 combinations. Citycliq was testing their value propositions to see what converts the best. Eventually, they concluded that the value proposition with the “Purest, most direct representation of their product” was the winner. During the election period, the Obama team ran several A/B tests on the campaign’s landing page. The goal was to get people to sign up with their email addresses. A/B testing generated additional 2,880,000 email addresses, which translated to an extra $60 million in donations. The challenger page increased the size of the contact form. They also replaced a general logistics image with the image of an actual DHL emplyee. Instead of listing all of the various testing tools out there (and by now, there are many), take a look at our gigantic list of CRO tools here. Each tool is reviewed by an actual practitioner, so you can best choose which one is right for you. A widely used tool for calculating the significance of your A/B testing results. The calculator allows you to calculate maximum duration for which your test should run. Heatmap software for tracking visitor behavior on your site. You can get good data for hypotheses generation. This is for surveying visitors that are currently surfing your site. We use this in our agency. Allows you to set up behavior-triggered surveys to find out why your customers are behaving the way they do. A great tool for getting feedback from your visitors, when abandoning the shopping cart and also when completing a purchase. A lot of extra tools for analyzing responses. Works well on mobile browsers. Surveymonkey has been around for a long time and offers a stable experience. Has good analytical tools for analyzing your responses. Free and easy to use. Data is collected into spreadsheets which makes the data easy to analyze. The prettiest survey tool of all. You should always integrate A/B testing into a larger conversion optimization framework for good results. In the end, the testing is all about knowing if your hypotheses are right, and if your conversion plan is on the right course. The main reason for doing split testing is to maximize the conversion potential of your website. It makes sense to invest in conversion rate optimization before spending money on large-scale advertising campaigns. After a while, your conversion funnel will be effective enough that you can transfer your winning campaigns to other media. Because your core is optimized so well, by the time you go to offline media, your campaigns will convert well enough to pay off. Make sure you are getting actionable data from Google Analytics. – To make use of data, you need to have goals first. Define your target metrics. Use qualitative surveys. Besides knowing what is going on, you also need to know why. Segment. – It’s the only way to get information that is actually valuable. Prioritize. Test pages with higher potential first. Form a hypothesis. A/B testing has to start with a clearly defined hypothesis. Statistical relevance. Never stop split testing before reaching a significance percentage of at least 95%. Never stop testing. No matter how well your landing pages or emails may be doing, they can always do better. A/B testing is part of a conversion rate optimization framework. Pick a framework and work on it constantly to maximize your site’s potential. Download our guide on mastering A/B Testing. Jaan-Matti Saul is an Optimization Analyst in CXL. For over a decade, he's been focused on increasing online product / market fit for global brands in the US, Europe & Australia. This is a fantastic resource for AB testing! Great job Jaan-Matti. I’ll be bookmarking this page for many years to come. Great post. I am going to have to come back to this one and chew on it for a bit. You have got it packed with info! Wow – truly epic. The details are really useful (e.g. 302 redirects). Thank you. My own background is in B2B media organizations, which are mostly in the dark ages in regards to testing. A fallacy I encounter often is the notion of “I don’t care what results site X got, because their business isn’t the same as ours.” Of course their business isn’t exactly the same – but considering others’ results is still a great way to create a good, informed hypothesis for testing. 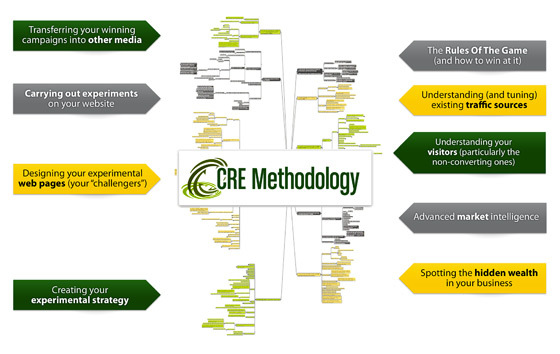 as a Conversion Optimization Consultant, I find this to be a huge resource for A/B Testing. Tank you! Really a good post, which comes around the most, but you say, that we should use 302 and use rel=canonical, but I thought if you use Google new tool or payed like visual website optimizer, that such things was not needed? Awesome tips, Jaan-Matti! I definitely have not done testing nearly as much as I should. I’ve bookmarked this page so I can reference it and all your great insight. Thanks! I thought the Guide is a pdf and surprisingly this is a webpage!! I subscribed mainly because I’d download it and read it offline, NOT ONLINE. “The importance of testing to statistical relevance” sounds like a serious misnomer to me. There is no such concept as “statistical relevance”. Statistical significance is in no way a measure of “relevance”. Interpreting a statistically significant result as a “relevant” or “significant” result is a grave mistake. Really, an impressive article that provides insight about the various areas of A/B testing. Apart from this, other importantb areas of considerations are having a clear knowledge about your key performance indicators, analyzing the effectiveness of your A/B testing tools and running your tests for the scheduled time duration for achieving the desired test goals. Further, there are various A/B testing tools like Optimizely, Mocking Fish, Maxymiser that can provide accurate results and have relatively less testing errors so as to ensure an effective split testing results for your business organization. Really great article. So many great point!